STANDARD FULLY SYNCHRONIZED TRANSMISSION AND 12X12 SYNCHRO SHUTTLE: Change gears without having to stop. 12 forward / 12 reverse gear transmission makes changing direction a breeze and provides more operating speeds than others in its class for superior control, precision and safe operations for virtually any application. 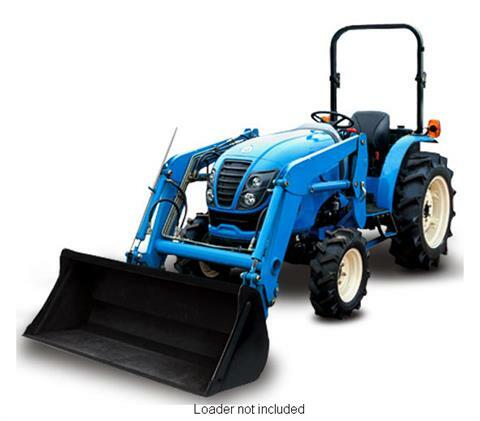 SIDE MOUNTED MAIN GEAR LEVER: Maximizes space and makes getting on and off tractor easier. Without ballast - 2,822 lb.